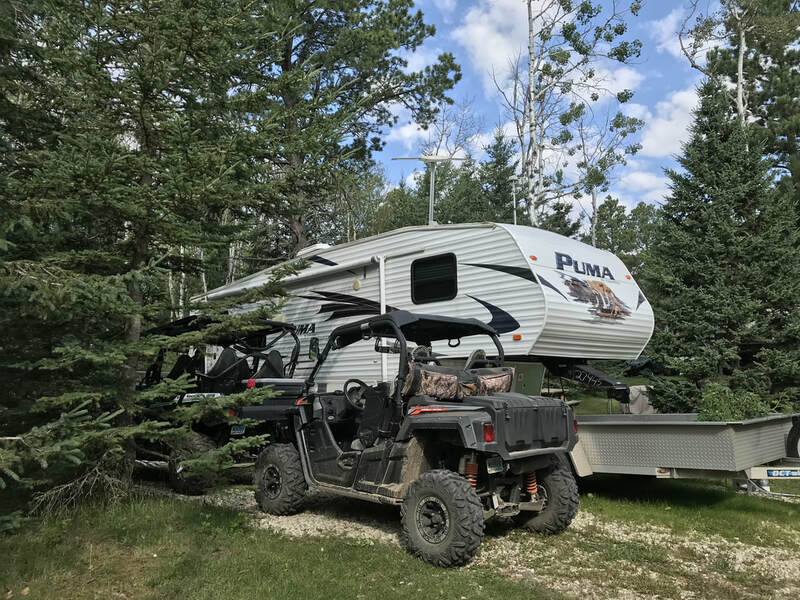 RV CAMPSITE - RIDE YOUR ATV FROM YOUR RV TO THE TRAILS! 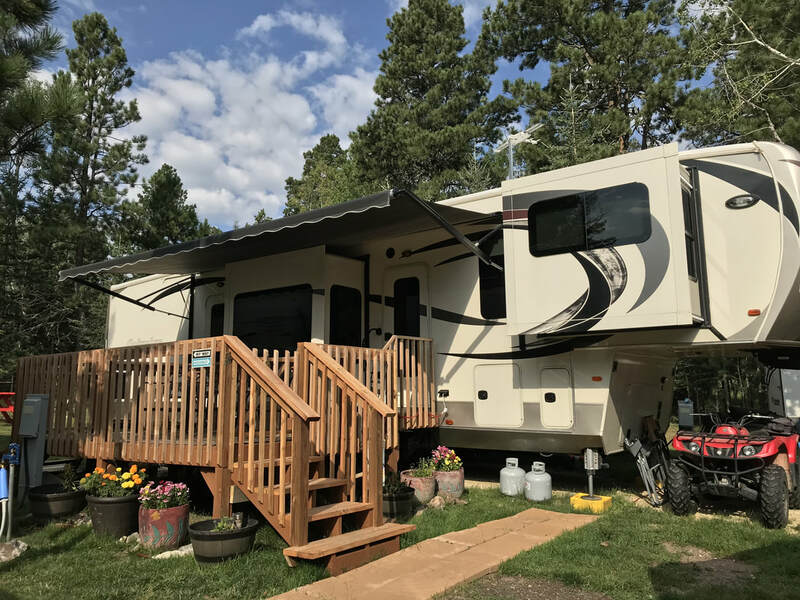 Tucked into the woods and surrounded by the Black Hills National Forest, Mystic Hills Hideaway offers a unique opportunity to camp in the woods while having straight-on access to the ATV/UTV trails. We sell trail permits, maps, and offer free directions so that you can be on your way exploring more than 500 miles worth of trails. Additionally, we have our own fleet of 4-wheelers, side-by-sides, 3 seaters, 4 seaters, and 5 seaters from Yamaha and Kawasaki available for rent. Click here for more information. 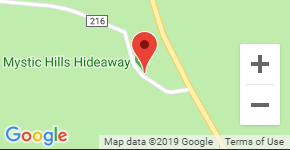 Mystic Hills Hideaway provides nightly and summer long RV camping with over 70 full-hook up RV sites (sewer, water, and 30/50 amp electric). Deluxe pull through full hook up RV sites accommodate big rig campers (37 feet or more). Standard sites accommodate 36 feet or less. 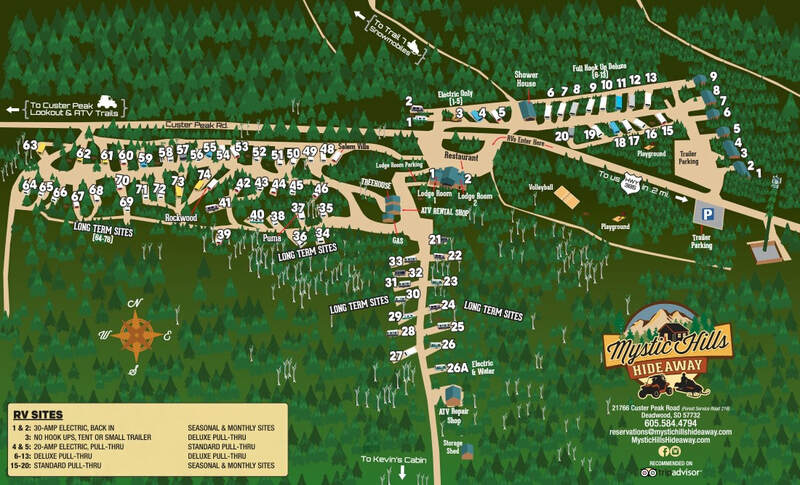 We have a handful of electric-only spots and we no longer offer tent camping. When you click Book Now and select RV Full Hook Up, you can select your individual site. Mystic Hills Hideaway offers summer-long camping from May 1 to October 1. 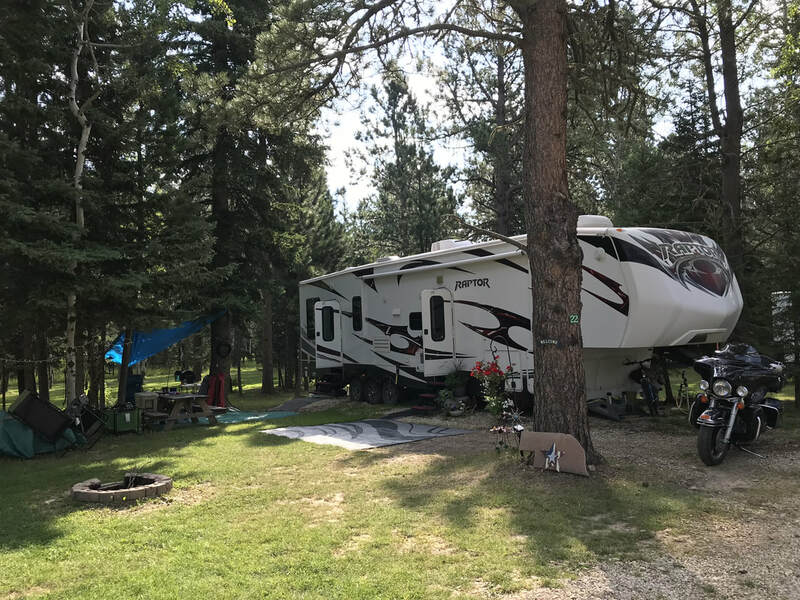 Guests can park their RV or camper for the season for $2,500. We hold back approximately 30 full hook-up sites 21-46 and 63-75 for this purpose. These are not available to be booked online, however if you're interested in staying with us all summer, please contact us at 605-584-4794. Pets allowed. No extra fee. Full payment required at time of booking and non-refundable 60 days prior to check in. $50 Cancellation Fee if cancelled prior to 60 days.